YCIS Beijing believes that exposure to Chinese culture is an invaluable asset to living in Beijing. It remains an essential piece of their curriculum at every level of schooling, from preschool through Year 13. 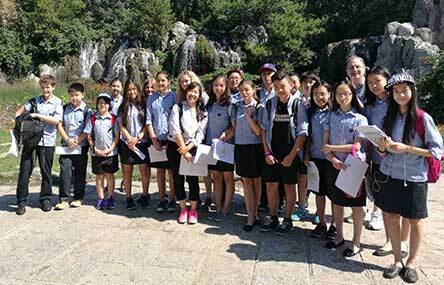 Children in Primary School have the opportunity to explore Beijing with their teachers, discovering different aspects of traditional Chinese culture through field trips to cultural sites around Beijing that align with what they’re studying in class. April Peng, YCIS Beijing’s Primary Chinese Coordinator for over 10 years, orchestrates these trips each year for all of our Primary School learners. Below, she gives three of her favorite less-known Chinese cultural sites perfect for families to visit as the weather warms. Even if you’re not a superstitious student looking to Confucius for help in your studies, strolling the grounds of the Temple of Confucius and Guozijian Museum are great ways to experience Chinese history firsthand. Serving as an imperial college throughout the Yuan, Ming, and Qing dynasties, the site is a beautiful example of traditional Chinese architecture and a great way to learn about the influential Chinese thinker and educator Confucius. It’s centrally located (just across the street from the Lama Temple), making it an ideal place for a spur of the moment family field trip or just a fun and educational way to spend an afternoon. Another ideal spot for lovers of traditional Chinese architecture and atmosphere is the former residence of Soong Ching-ling, wife of Sun Yat-sen and honorary President of the People’s Republic of China in 1981. The site offers a glimpse into the life of this influential and inspiring figure in modern China’s brief history as well as a snapshot of Qing dynasty life through the immaculately preserved home and facilities. The site sits just north of Houhai Lake, so be sure to make a quick stop to take in this beautifully restored architectural relic next time you’re in the neighborhood! Be sure to plan a trip this spring to enjoy blooming flowers and crisp spring air before the heat of summer arrives!